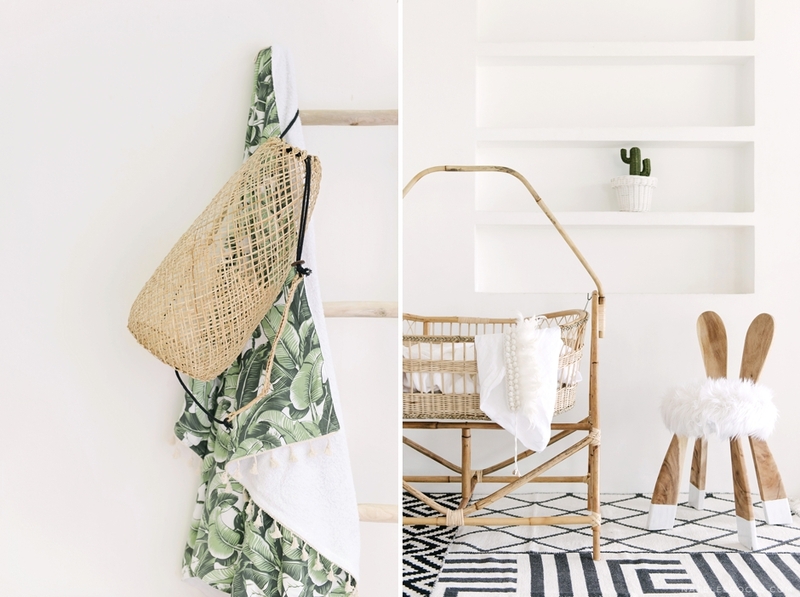 White Moss – If you an interior designer or someone who enjoys objects inspired by nature you will fall in love with WHITE MOSS. 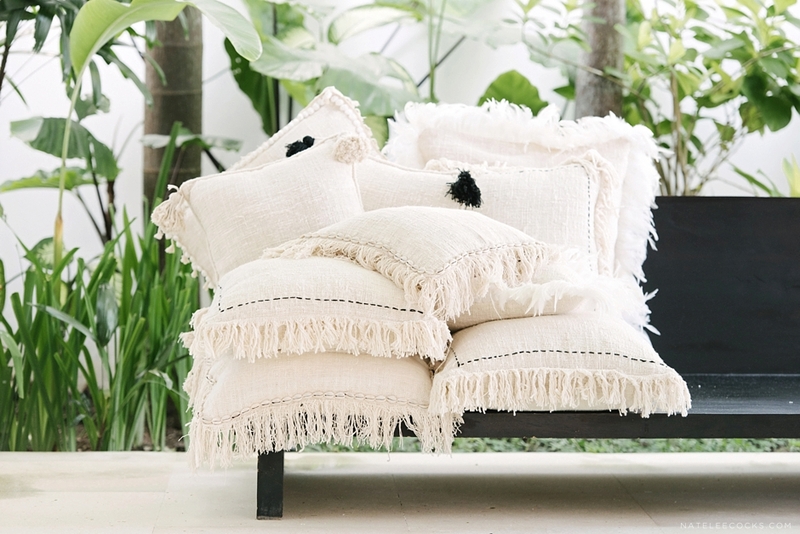 White Moss is the love child of husband and wife team Leanne & Rob. 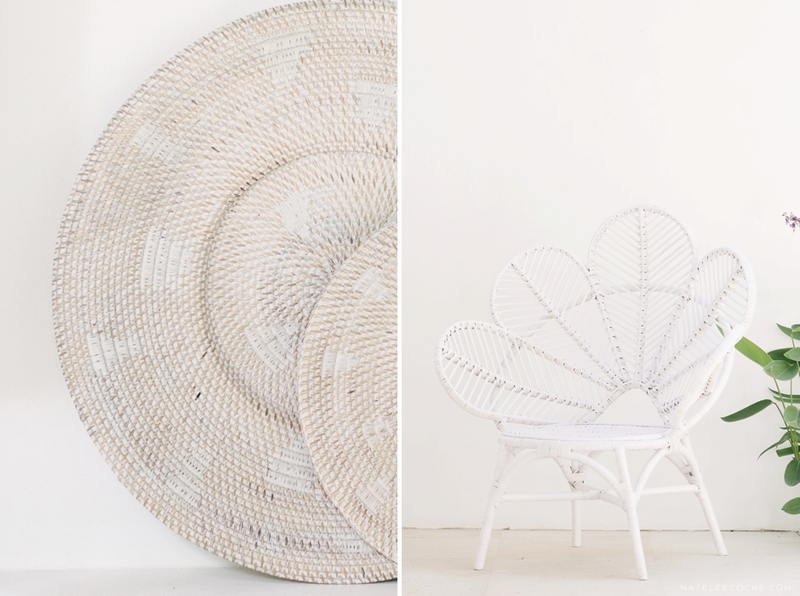 Most of the decorative pieces used in this styled shoot are handcrafted from rattan. 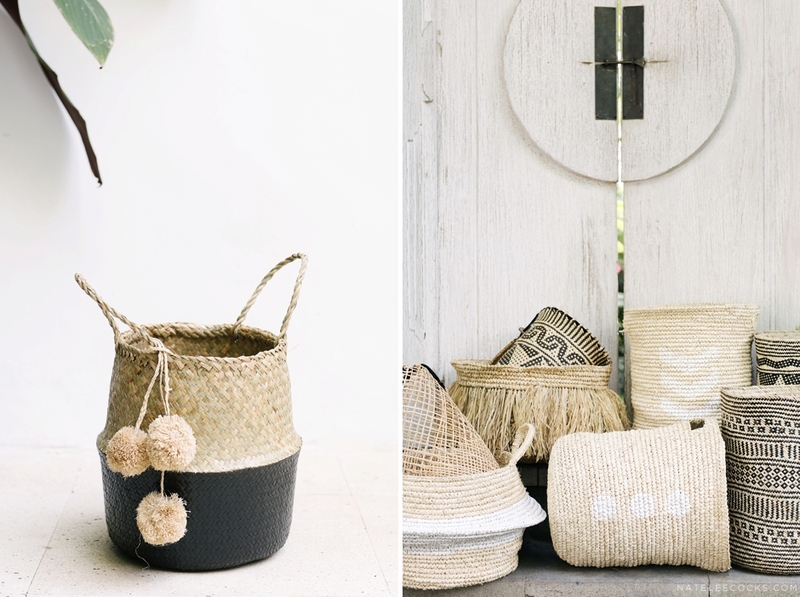 Rattans are exclusively used for furniture and baskets and can accept paints and stains like many other woods. 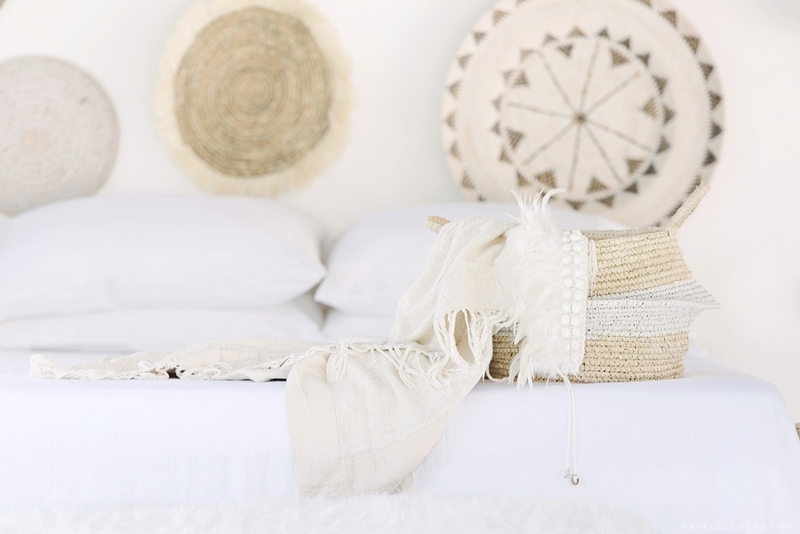 The tribal plates used as wall decor, showcase unique patterns, textures and colours. 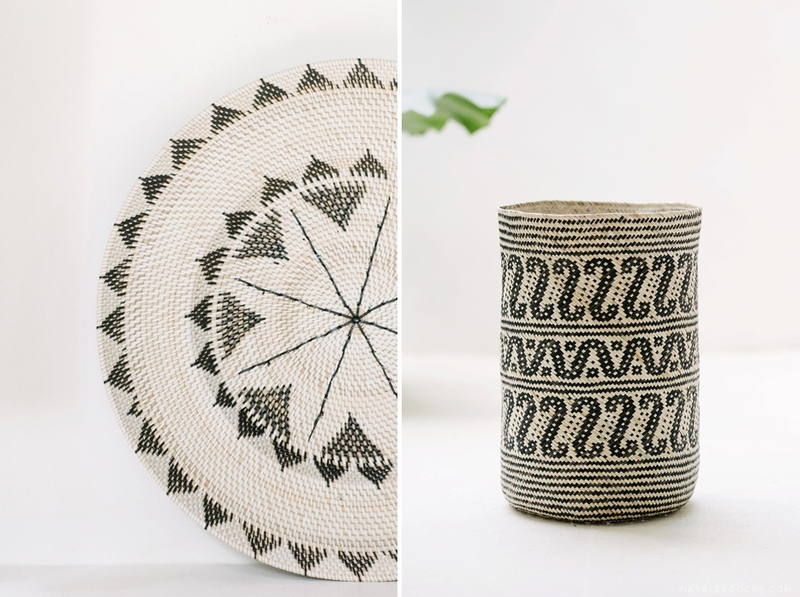 These objects reveal a fascinating mixture of tribal and colonial style. As a photographer, I always try to find strong shapes in my photographic subjects. The circularity of the plates are highlighted by their juxtaposition within the rectangular frame of the photo. Circular shapes don’t have to show (pun intended) the full circle. 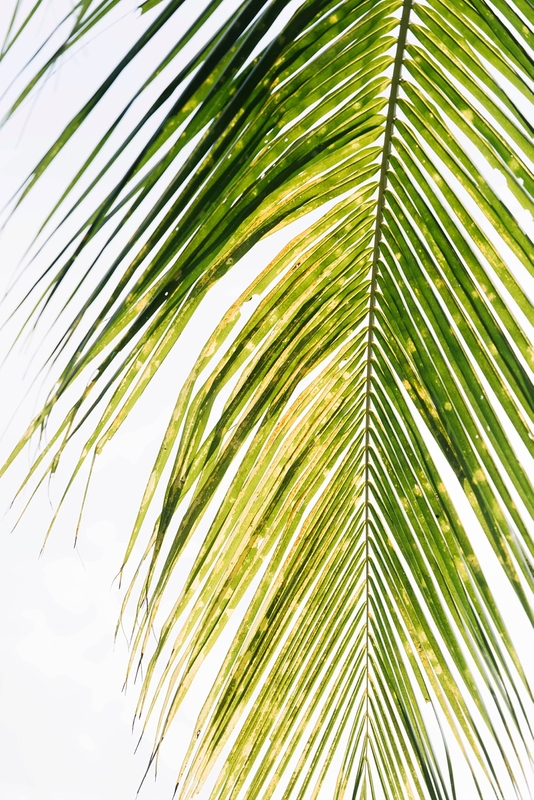 Composing a single circular object outside of the frame is an effective way for the viewer to connect the dots and keep the object interesting. 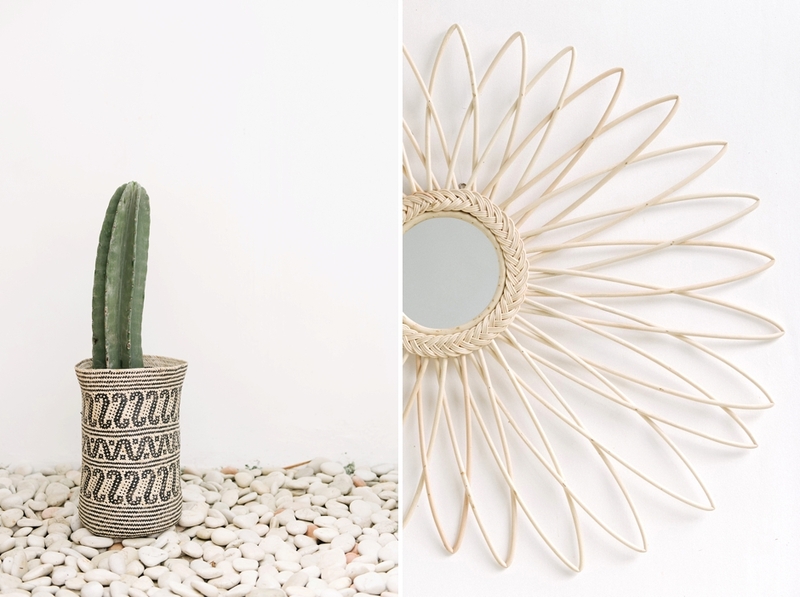 The SUNBURST RATTAN MIRROR is photographed in a similar manner. I love the small irregularities in the design as it reminds me that is an object that was handcrafted with love by artisans. The tribal baskets, similar to the tribal plates, have a unique design. 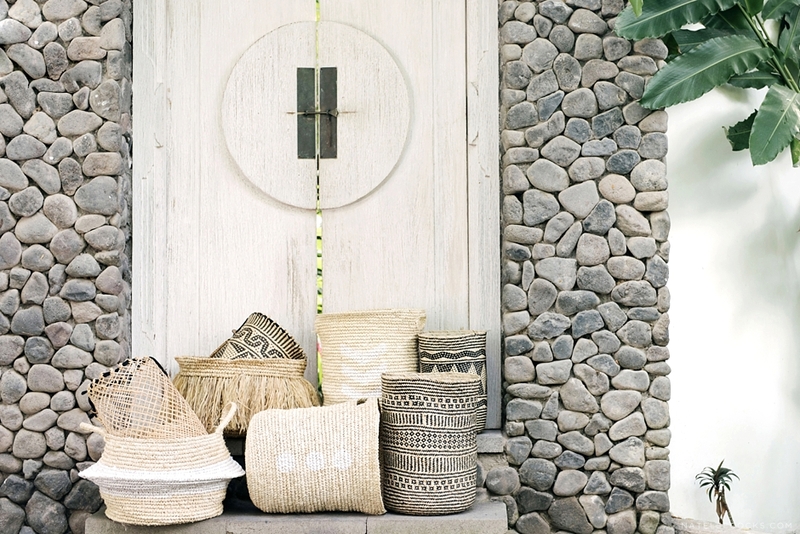 Baskets are handwoven and come in all shapes and sizes. 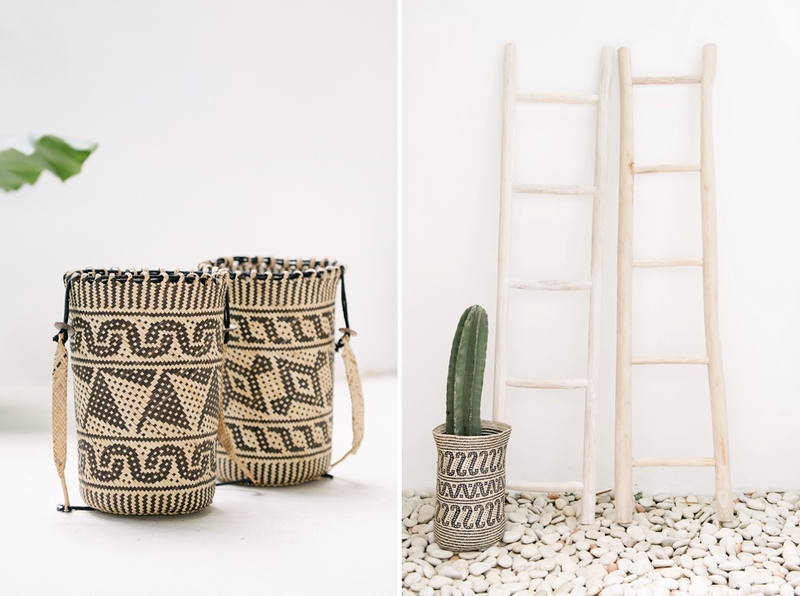 It can be used as beautiful storage baskets or to hold your favourite cactus. 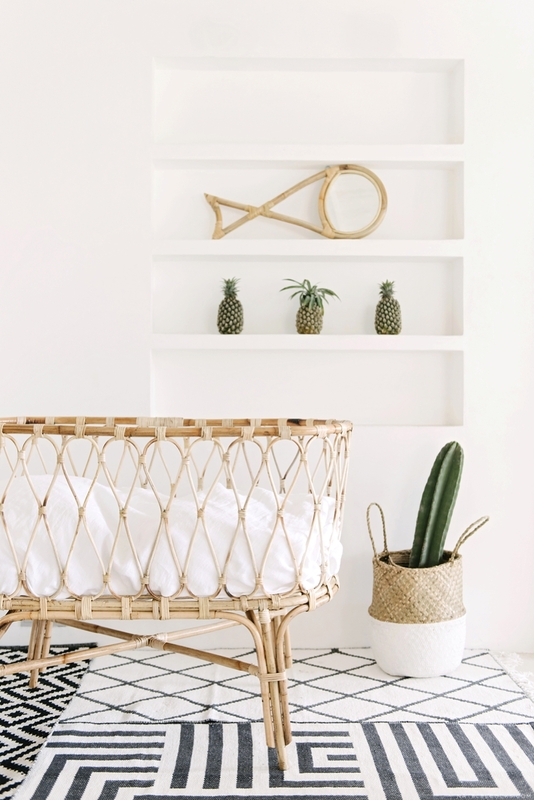 Bleached raffia baskets display white details, chevrons and moons, and are exclusively designed by White Moss. 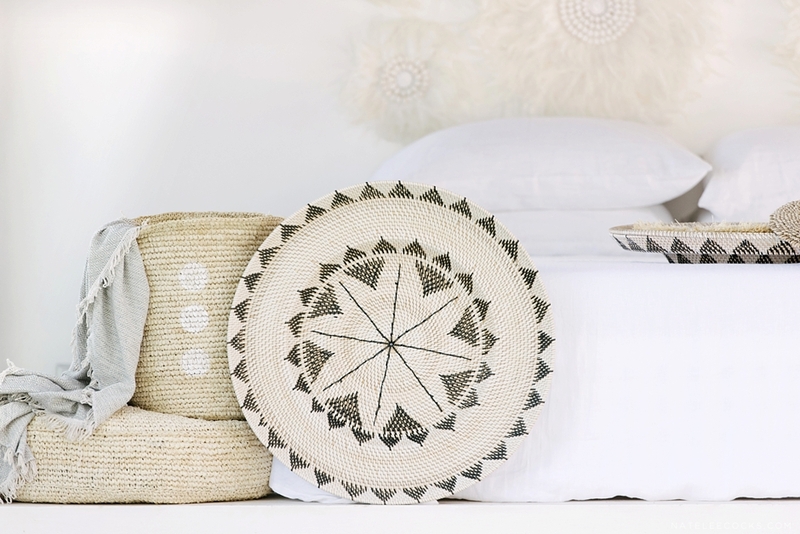 The bleached raffia finish creates a striking contrast to the black patterns of the tribal baskets. The CHAIRS are probably the easiest object to fall in love with. 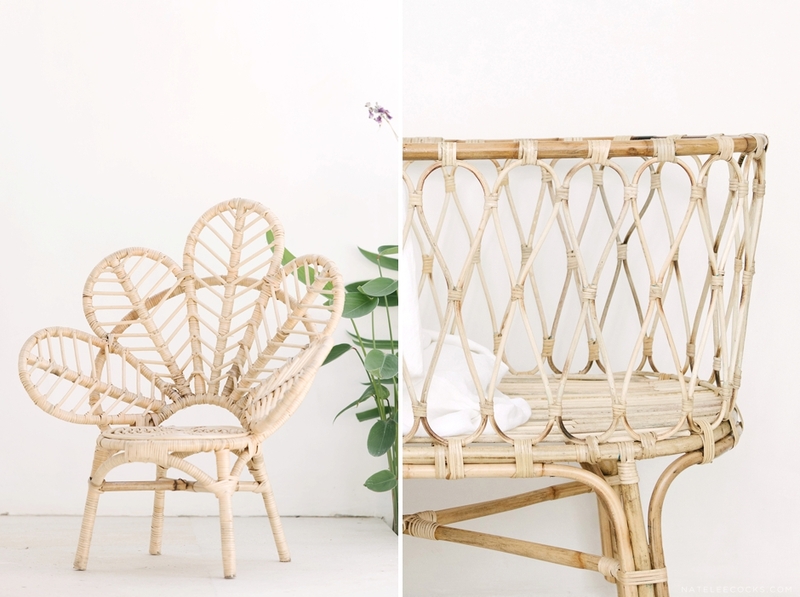 The rattan Love Chair, available in natural rattan or a white finish, is a fun and elegant object. 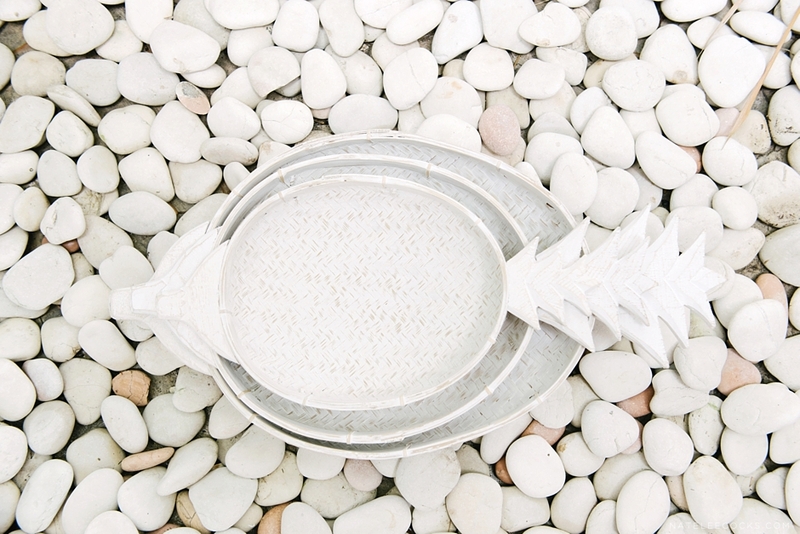 A flower petal design makes this a unique object for your home – something to be enjoyed on it’s own. You can fall through the rabbit hole with the Alice of Wonder Stool. 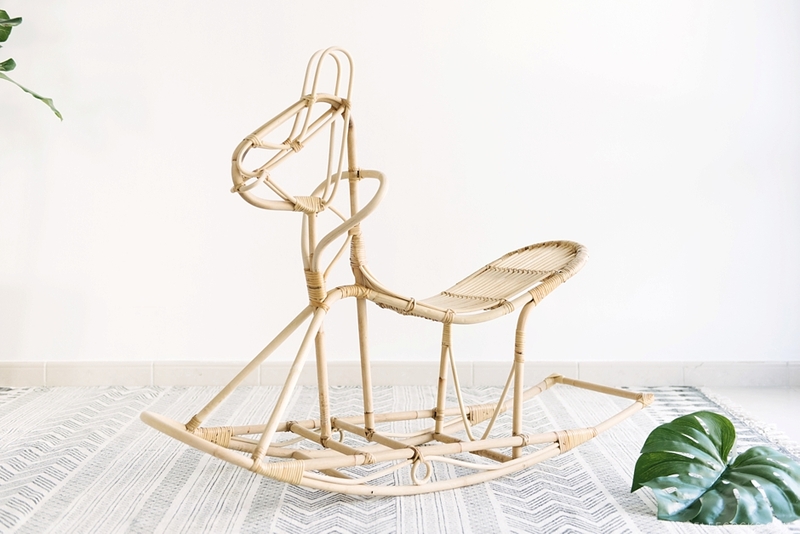 This white bunny chair is magical and purposely designed for children. My suspicions are that this little bunny chair is not only kids for kids to fall in love with. 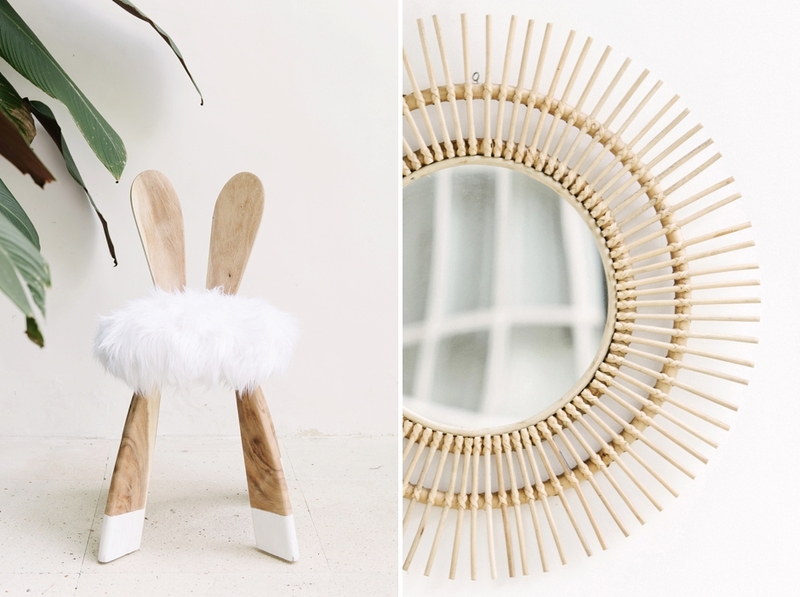 Soft faux fur for a seat and wooden legs with white socks are things that dreams are made of! 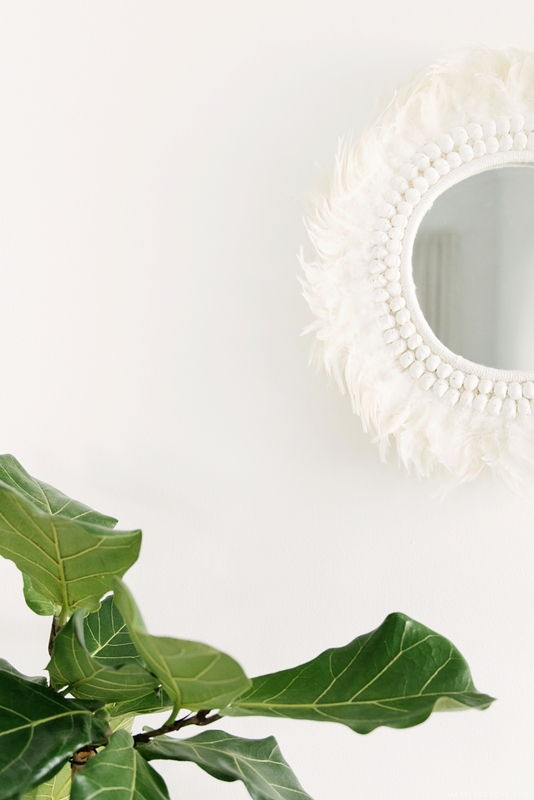 View White Moss’ collection over HERE.